In deze mail staat een link waarop het veertigste DKARS-Magazine is te downloaden. This mail contains a link which the 40th- DKARS-Magazine is available for download. MRD Maritime Radio Day is being held annually to remember to nearly 100 years of wireless service for seafarers. Since its beginning in 1900 it was the most important communication service until the end of 1998. The date of MRD should remember to the Titanic-disaster in 1912. Former Wireless operators of the merchant marine, fisheries and coast stations are requested to register. QSO-Exchange QRK, name, call sign of last or favourite ship / coast station / aircraft / maintenance company and additional: travel report, msg and/or qtc if you like. Certificate of participation (CoP) SWL have to sent a complete log to be able to verify QSO data by selection. Licensed operators send either a log as .doc or .pdf, or an e-mail with number of ships, coast, special and hams contacted. Certificate is available only by e-mail! Results of MRD will be published on MRD homepage "Resultlists of MRD"
QSL cards: Each participant manages his QSL card. There is no QSL manager! Coast station- and ship callsigns could be operated only by former Radio Officers, Operators of Coast Stations and from Radio Technicians worked in the branch of installation and maintenance of coastal and ship radio equipment and antennas. Companies as they are RAMAC, DEBEG, SAIT ITT/MACKAY RADIO-HOLLAND RCA etc. A message has reached me saying that one person could not join in the fun. You don't have to be a maritime CW operator or maritime maintenance or coast station operator. If you aren't ex coast station or radio officer or maintenance company, you simply give a number - see the last line of the message I sent. You will hear some very, very good fists. And some average fists but the best fists are so incredibly good they will make you cry they send so well. Some of the guys operate at the former locations of coast stations! The SKCC for the Intellectually Challenged" Enjoy. Also don't forget the Miles Per Watt (MPW) activity for those who like the challenge of seeing how far they can go on the least power. March "Rag Chew" is on the web! Get ready for some serious reading fun! Once again, "thanks you" to all of you who have contributed and to all those who "might" want to contribute, do it, it's easy! I think we all think the numbers are just fine for us. 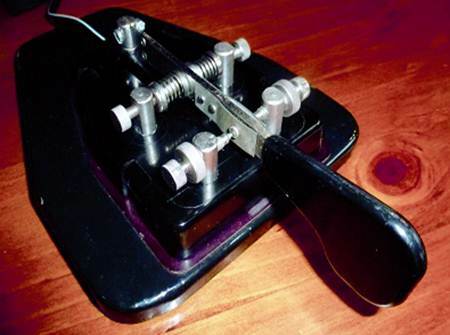 The aluminum lever was introduced in 1893 to change the dead-clunk of local instruments to a higher, more distinct and louder tone. So why were aluminum levers never applied to Main Line instruments? One answer may be that Main Line instruments were big enough to take care of themselves and didn't need any help with volume. Can anyone think of a better explanation? One factor may have been cost. If, as you say, main line sounders did not need help, why spend the money. Before the advent of the electrolytic process for refining aluminum, it was very expensive. To this day I tend to think that many main line sounders (as we briefly discussed a while back there seems to be a lot of variation in the modern 15-B's sounds) have a deader clunker sound than even brass levered locals. I have suspected (but have not measured it) that aluminum levers had less mass/weight than the apparently equally sized brass levers used in local sounders. In most sounders with horizontally oriented levers, the spring force has to be strong enough overcome this weight (why relay armatures are vertical as well as being strong enough to lift the lever forcefully enough to make a reasonably loud "clack". With a lighter lever, the spring force needed would be less and thus less magnetic force would be needed to overcome this weight. Thus the sounder would operate well with less current. The problem I see with this analysis is that local sounders are running off of a local battery source and thus there is no need to address a low current issue. This is my story and the story of a lot of other hams. As soon as i had found out about the 2004 tsunami, I immediately tried to find a way to help out. Since all I had was echolink and VHF UHF radios to communicate, I started looking out for stations in the disastered areas (on echolink) that I could help. Soon realizing this was way too big for me alone and truly wanting to help (I thought it was so awful what had happened, and on Christmas too!!!) I went on to get a domain name from GD.. hundreds of hams from all over the world contacted me asking how they could help their fellow brothers and sisters too. People say we can't do much to do much using voip. Nothing is further is from the truth... I am the trustee for a conference server so immediately dedicated it to welfare and emergency traffic only. within hours, our NCS' got in touch with an India ham who straightaway started relaying hundreds of messages. As we still hadn't received the governmental authorisation to handle 3rd party traffic at that point we couldn't get back to most of the afflicted countries. I felt like they had no clue of what had happened a few minutes before. Everyone was provably sound asleep in the county's capital as it was pretty much the case about anywhere in North America. This long waited authorisation finally came in the morning, from what I recalled. It felt like an eternity to us. It took many more days to get to talk to the traffic sole originator station. This came to the echolink net via an Indian military naval vessel's phone patch linked up to the echolink system. Her name was Bharathi Prassad VU2RBI. She's a good friend of all of us hams. I'm sure a lot of you heard of her. She went on to explain to our traffic net and members (we were QRV 24 hours 7 days a week) that her first messages wad routed to us via wireless telegraphy which amazed me. I forget the exact why she had to revert back to CW though. CW was the only option available to her dxpedition members from the Andaman islands to reach any of the outside world. QSPs to QSPs they would relay messages diligently some of which were of diplomatic nature, most of them requesting supplies, medications, medical personnel. If it weren't for Bharathi, her team, CW and all of the hams in the shade who night after night and day after day (yes me too) stood on guard to relay those important messages to the relief agencies, some lives might not have been saved. A few months after the tragedy struck, she was awarded a medal of honour by the queen of the Commonwealth for rendering invaluable service to humanity. If it hadn't been for Marconi s wireless system discovered at the beginning of the century and for the involvement of so many hams around the world working hand in hand together, this contribution would have never been possible. Thanks to our heartful and generous fellow hams who are always willing to serve when they are needed. A big thank you also to our governments for preserving our resourcefulfrequency bands from being sold to pecunary interests and thanks to Mr Guglielmo Marcony, our mentor and leader who in fact, was the first amateur radio operator to sow the first seed in the same fertile spectre that we use today. 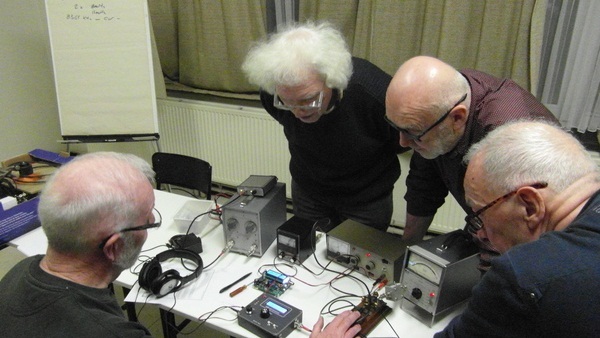 I never wrote about this story of the contribution of these hundreds of these fellow radio amateurs before. It needed to be pointed out in the hope that it might help in a little way to save CW from disappearing from our bands. The first mode ever invented and used. I guess Jim inspired me with his message on the importance of telegraphy, even today! It would take so little to bring all our grids down. We just have to think of the Cathrina's flood that also ruptured ALL communications in the city in which, our group was also there to help. When the calm returned, so did politics which brought it all down. I find amateurs are doing very well when they work with their hearts. I myself started with CW on HF when I received my license in 1986. I will always trasure that mode. I just wish I had more time to dedicate to it and radio. It still is a beautiful sound to my ears. I will try to get in touch with Bharathi. I'll try to get her to join the group to give her point of view from the other side of the world. I'm sure she'll be glad to answer questions you may have. We don't have to wait for the ARRL to claim the virtues of CW. They have their constituency we have ours . It's about time CW shines again!!!! Let's make CW great again!! I also went through various ball point pens - the pencils could break and I didn't want that. Then the fastest was the WRITE BROS. ball point by PaperMate. These days a Uni-Ball Jetstream or PILOT G-2. Ballpoint ink is a little thicker than fountain pen ink. Historically, the first ballpoints used ink designed for high-speed presses. It had to be "sticky" or it would fly off the inking rollers. If you've ever noticed that a ballpoint is a little stiff to write with when it's cold, that's why. So-called "rollerball" pens use a thinner ink, closer to fountain pen ink. Because it's thinner it not only flows easily but takes less "push" to get it onto the paper. If you're going to hand copy, then I suggest using a rollerball pen -- preferably one that has a bit of mass to it. My personal pick is the Retro 51 Titanium Tornado. I'm a journalist; I do a LOT of writing by hand. I've been using my Retro 51 for the last 12 years, every single day. Choose a fine-line filler; no need to waste ink on big thick lines. Any good refillable pen that fits your hand and is easy to write with can be fitted with a rollerball filler. If you really want to get fine-grained, think about the paper you're using. At decent smooth bond paper is better than cheap newsprint or notepad. Smooth surface, also less likely to smear or wick. A decent grade of binder paper (like we used in school) is best. I look at that elegant Spencerian or copperplate script on old telegrams and I just WISH I could do that! I think about the humidity of the paper. Too wet then it rips easily, you can not write on it and not burn easily. Too dry then you can write on it easily and burns easily .... I think about it. I have a couple Vibroplex Vari-Speed devices and they work well. However, they out-of-the box they do not lend them selves to quick on-the-fly speed adjustment. The thumbscrew has less that a full turn of play and moving the adjustment arm loosens the screw. I took a unit to my local Ace Hardware Store and looked for a thumbscrew with correct thread and then looked for neoprene and metal flat washers with the correct size hole. After some fiddling with the placement of the parts and the snugness of the thumbscrew, I finally got the Vari-Speed to easily adjust without loosening. I have a short video of it in action on my website. When it comes to properly adjusting a bug, I find the video from Jim Wade, WB8SIW, most valuable and keep a link to the video in my shortcuts. Great video of your bug in action. That is a great way to adjust the vari-speed. Can you save us a lot of time by listing the size of the thump screw and washers? It's really hard for me to list a true "parts list". Anyone who's been to their local hardware store may realize that few of the small parts you walk away with have true part numbers. Rather, you tend to fill a packet with parts and list the quantity and price for a few of the items in the packet. The parts I found were not stainless, but that's where I started looking. Try Ace Hardware, Home Depot, Lowe's or a local hardware store. I took my Vari-Speed along with me and looked for a thumbscrew that had the right threads - ended up buying a couple that were close to the right length. I also picked up a half dozen (or more) of various metal and neoprene washers that had a small size hole and a diameter close to the diameter of the VariSpeed piece. After I got home, I was able to fiddle with various combinations that allowed free movement without loosening the set screw. It just takes a bit of individual effort. I’ve gotten into Cootie Keys of late - and have several in my collection. 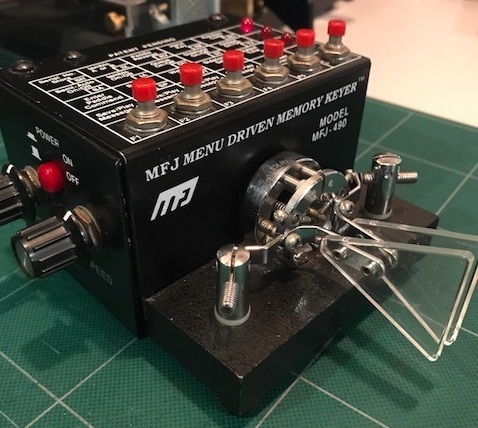 But recently I realized that my Bencher dual paddle with MFJ 490 keyer offers a chance to use it as a sideswiper. The advantage is that one can switch easily from electronic keyer to “hand key” without having to go into the radio menu. Also, I find the dual paddles are very comfortable when operating as a cootie, as opposed to a single paddle. It's been a while since I've put out a Hype on behalf of the Cootie key. As a reminder we have a SKCC Cootie User's list which now accounts for 98 users of this very old keying methodology with a relatively recent resurgence, perhaps for good reason. With the aging population in the Ham community, many have found this "sideswiper" technology to offer much needed relief to the old fingers, fists, and wrist joints. If you've not tried a Cootie, I can refer you to the aforementioned list for all the testimonials at hand. BTW, a link to the list can be found at the bottom of my QRZ page. Be sure to visit and let me know if I may attempt to answer your questions. Speaking of the list, I have recently noticed the popularity of the GHD GF 501A Cootie. I'm curious to hear some reviews on that key. I wonder if the performance justifies the expense and appearance glitz. I'd be interested to get my hands on one for the right price, and then I could conduct my own assessment, and pass along what I might have learned. If anyone knows of one on the used market or soon to be posted there, please let me know at my email address. For what it's worth, I recently acquired a Vizkey Vertical Bug, and while working my way through the setup instructions I accidentally created a Cootie. Not sure I can recall or relate just how I did that, but I was really surprised, and I will admit that it keyed and sounded great. One day I hope to edit and expand my discussion of Cooties on my QRZ page. In the meantime, let me hear from you if you need help to join us in this unique art of manual CW keying. or if you have difficulty remembering that link, then please visit my QRZ page where the list is included near the bottom of my biography. 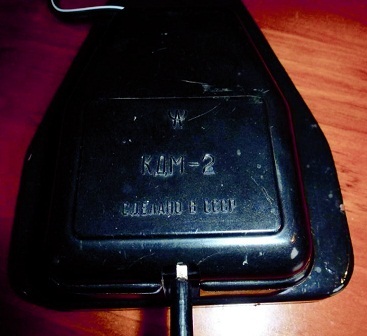 Many thanks to Colin, G3VTT, for my latest acquisition, a KDM-2. It is so smooth to send with. 50 shades of grey ?? ... the amateur radio bands should be coming alive again as old region 2699 will be rotating into Earth view again in a few days.